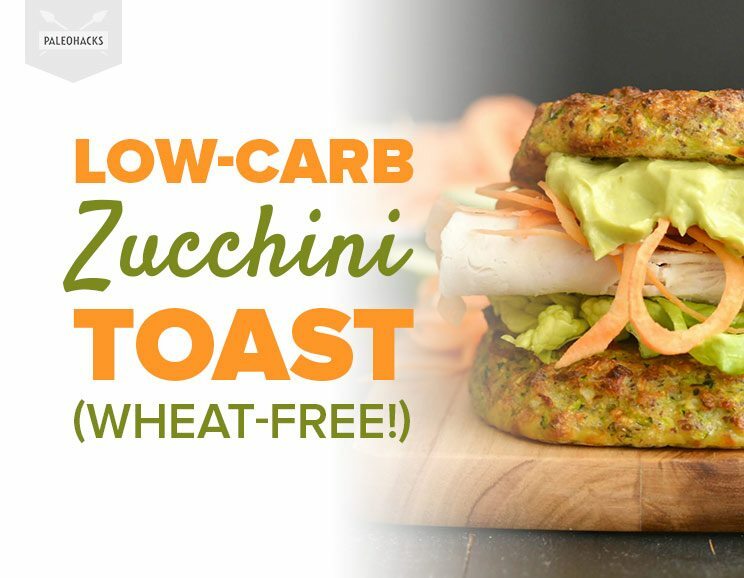 This Low-Carb Zucchini Toast is thick, delicious and takes less than 40 minutes to make! 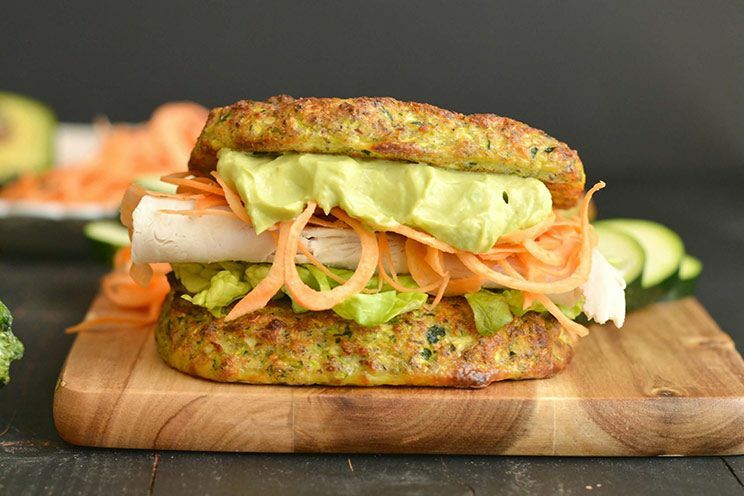 Struggling to find the perfect low-carb bread alternative? 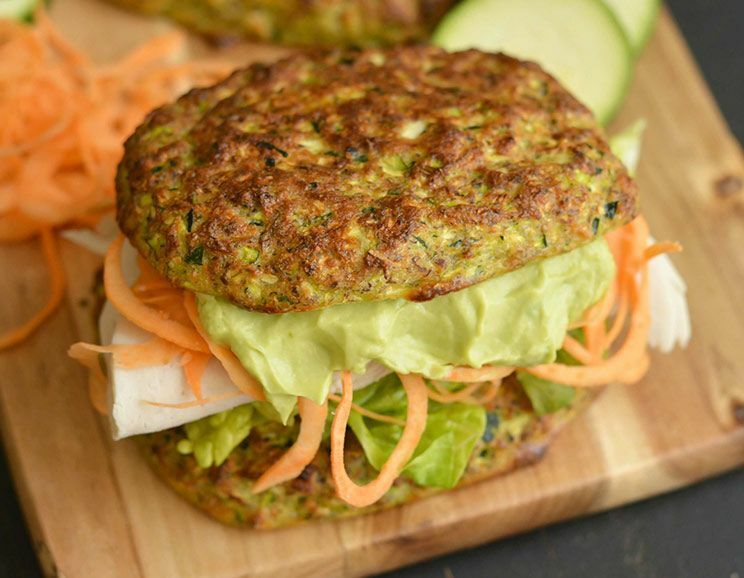 What about one that includes Paleo-friendly ingredients and hassle-free cooking? Check out this golden crisp Zucchini Toast to find what you’ve been looking for! Made with just seven wholesome ingredients, this bread not only tastes amazing but is also incredibly easy to make! In just a few steps, you’ll have delicious, oven-baked bread made from a blend of shredded zucchini, almond flour, and flax meal. The added bonus of fiber, protein, and healthy fat will help boost your health while keeping you feeling full and satisfied. To get started, begin by shredding the zucchini in a food processor or high-speed blender and pulse several times. Place the zucchini into a steamer over a pot of boiling water and steam for 1-2 minutes. Then, ring out the water using a cheesecloth or hand towel and set aside. Note: Don’t skip this step! Otherwise, the toast will be soggy. Next, whisk the eggs in a large mixing bowl and add in steamed zucchini with remaining ingredients. Mix ingredients together and divide the mixture into four equal portions. Shape each portion into medium-sized bread slices and place onto a baking sheet. Transfer to the oven to bake for 18-20 minutes, or until crisp and golden brown. Enjoy your zucchini bread toasted with homemade ghee on top or make yourself a delicious sandwich with fresh veggies, protein, and avocado fillings! This Low-Carb Zucchini Toast is thick, delicious and takes less than 40 minutes to make. Preheat oven to 450°F. Place parchment paper on a medium baking sheet and set aside. Shred the zucchini in a blender or food processor by pulsing several times. Transfer the zucchini to a steamer. Bring a saucepan filled with water to a boil and steam the zucchini one minute over boiling water. Remove the zucchini and place in a hand towel or cheese cloth. Ring out the moisture. Whisk the eggs in a large mixing bowl and stir in the zucchini with remaining ingredients. Divide the batter into four equal parts. Place each portion onto the baking sheet and use your hands to form each one into bread slices. Bake for 18 minutes or until golden brown. Remove from oven and let cool for five minutes on the baking sheet. Enjoy immediately or keep leftovers in the refrigerator up to five days. You can also store in the freezer for up to 30 days. Waking Up During The Night… Is There Something You Can Do?